At least 22 people are dead following the major earthquake in Italy. The Russian Emergencies Ministry is ready to provide assistance to Italy in coping with the aftermath of a strong earthquake. The ministry’s press service told TASS on Aug. 24 that Emergencies Minister Vladimir Puchkov sent a telegram to Head of the Italian National Civil Protection Department Fabrizio Curcio with an offer of assistance. "I would like to offer practical assistance of the Russian Emergencies Ministry in the emergency response operations," the minister’s telegram says. The ministry press service added that rescuers of the Centrospas squad and the Leader Center of the Russian Emergencies Ministry that have extensive experience of work in the zones of strong earthquakes with modern equipment for debris clearing and rescue of people are ready to fly to Italy. The Russian Emergencies Ministry is also ready to send to Italy the Struna mobile test center for determining the degree of damage to buildings and structures. 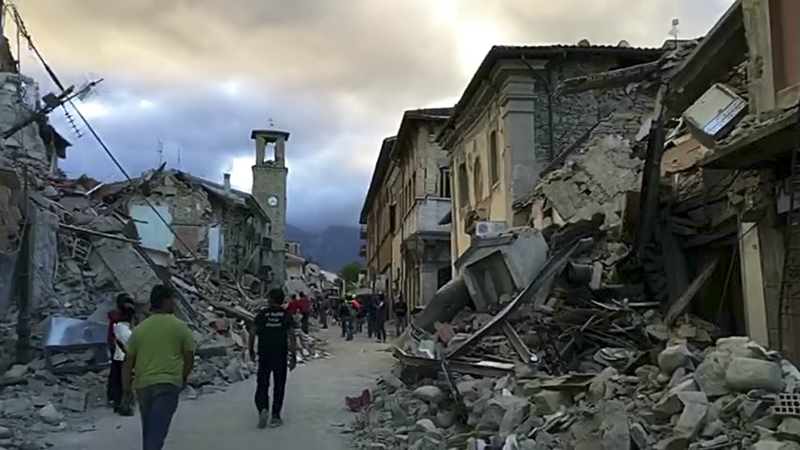 At least 22 people are dead following the major earthquake, which struck central Italy early in the morning on Aug. 24, according to Italian media. More than 100 are reported missing. A 6.0 magnitude earthquake struck central Italy at 03:36 (04:36, Moscow time), which was followed by a second jolt of 5.4 magnitude. The quake epicenter was located in the Rieti province at a depth of 2.5 miles. The quake, which affected a broad area of the Apennine range, was felt in several large Italian cities - Perugia, Rieti and Norcia. The populated localities in the mountainous areas - Amatrice, Pescara del Tronto and Accumuli - were the worst hit. The quake has damaged many buildings, roads and bridges, according to local reports.